How Long Does The Aspire Free Night Take After Upgrading? Airline News & Info American Airlines How Long Does The Aspire Free Night Take After Upgrading? Even though multiple American Express employees told me that my wife would not get a free night after upgrading to the Aspire card she did end up getting one. They insisted it would not come until after the first full anniversary. They said only new accounts get it in the first year. I knew that this information was inaccurate from data points in our Facebook Group. But how long did the Aspire free night take to arrive after upgrading? Did it take as long as it did when I signed up for a new account? I covered the amazing 150,000 point upgrade offer people were seeing from their Ascend card back in late September. You all know I think the Aspire card is hands down the most valuable premium card on the market. My wife accepted American Express’ generous upgrade offer, much more generous than those clunker Chase upgrade offers, and awaited my wife’s free night. The upgrade offer was accepted on September 24th, 2018 and my wife received the free night email on November 25, 2018. That is about 9 weeks apart but slightly quicker than when I signed up for my Aspire card. It doesn’t look like American Express has increased the speed with which they issue these certificates. I had said I hoped they would in my previous article. That leaves us with 2 free nights since she earned one with her Ascend card for spending $15,000 before upgrading. I will probably downgrade one of our Aspire cards back to Ascend since I like to use it as a non bonus spend card. I will just have to make sure it is after a full year if it is her card. If you were wondering if you get the free night the first year when upgrading to the Aspire card, you do. But, it will take the full 8-10 weeks for it to show up. I am not sure how it would work if your anniversary date on the Ascend card was just a few months away though. I couldn’t see them issuing two in such a short span but maybe someone can give their personal experience in the comments. 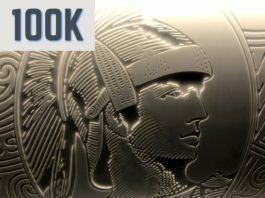 Next articleAmex Platinum Uber Credit Changes & End of Year Bonus! I did not upgrade. I signed up, was approved and received the free night within 30 days. In addition, all my Hilton bonus points and rewards come quickly. It seems their rewards program has really got their act together compared to others perhaps. Points aren’t worth a lot but I’m getting tons of them. After joining Honors about eight months ago, I’ve accumulated over 600K of them, not including two free nights, both of which I’ll be using at the Hilton del Coronado, easily worth over $900. I have both the Ascend and the Aspire and received both bonus offers. The free night after spending $15K came within a week of meeting the spend. Good program. Rick – that is the quickest I have seen a free night being delivered. That is more in line with how it should be imo. Hilton points are some of the easiest to rack up for sure. They are my second favorite brand behind Hyatt. Mark – You and @Pam got me thinking, and I went back to check again. It looks like a couple days under seven weeks from the first use of my card when I received the email from Hilton, and I am assuming I used the card shortly after receiving it so as to meet the minimum spend quickly. So yes, it looks like around two months after card acquisition. Sorry about that. I upgraded 9.26 & just received my free night on 11.28. My Ascend anniv date was 8.14. @ Rick, I used 2 free nights at the Del earlier this yr. All the rooms are different, make sure you stay on them a month before your stay for upgrades. And if you don’t like your room even so, go back to the front desk & keep trying! Curio properties typically are “unique & historical” (read: typically small rooms). Insist on ocean view, Jr Suite at a min or they will put you in a broom closet. How will you know when you receive the night? Email from Hilton or Amex? AMEX Hilton Aspire, by email. After checking again, it appears that I got mine in about seven weeks after using the card the first time. Query – we just took the upgrade and our anniversary date is December (so bad timing). Do I get the $250 resort credit for this stub year, or does it not start until after my “anniversary date”? I am not sure on that. I would imagine that you would get it. 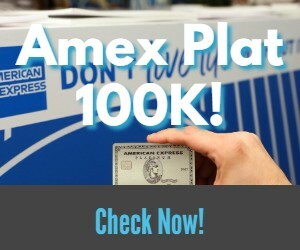 You could try reaching out to Amex but there is a good chance the reps won’t know either. Anyone have a similar experience that can chime in? I believe you can take it anytime during your anniversary year, like Dec 1, 18 to Nov 30, 19. Anyone hear whether upgrade offers to the aspire are available to basic AMX Hilton no annual fee cards? I received the Aspire upgrade offer on my no AF HH Amex in late September or early October. I believe both Hilton cards (Ascend and standard no fee Hilton) have received upgrade offers in the past. Be careful. If you qualify, they will upgrade you but you probably won’t get the bonus. I rejected the upgrade, called back a couple days later and said that I wanted to keep my Ascend card but apply for the Aspire card as well. AMEX indicated I would get the bonus, and I did. Make sure they tell you that you will get the bonus after meeting the spend. Spend doesn’t include the $450 upfront fee, so keep that in mind. I can meet the annual $15K spend for the free night on Ascend and Aspire will send another cert. on my anniversary. I’ll use the two nights annually at a resort and use my Aspire $250 resort credit to have a nice two-day stay. As you know, Aspire comes with automatic “Diamond” status. Pick the right property and you will probably get a fairly nice breakfast, maybe a room upgrade and lounge access (although lounges seem to be getting scarcer). Now, if I could only get those pesky resort fees and parking fees eliminated. @Rick, I upgraded to the Aspire from the Ascend. Got my free Anniv Night cert the other day (per my previous post) + 150,000 HH bonus points (from $4k spend) just posted as well. I received an upgrade offer from AMEX (on my card login page) indicating all this before doing. Previously in the year, however, I also got several other “upgrade” offers from AMEX for both my Ascend and NF cards which would NOT have included the night or points so definitely something for everyone to be aware of when upgrading – hold out for stated freebies. I upgraded on Sept 25 and received the weekend night certificate via email on Nov 25. Same as Mark. Does your anniversary date change when you upgrade? I am trying to figure out when to use the resort credit. I had the no AF HH card. Got it 6-16.Upgraded to Ascend 8-17. Now Aspire 11-18. So I don’t know if June, August or November will be anniversary date. Best way is to either Live Chat and ask or call and verify. Also a good idea to nail them down in writing for how long you have to make your spend so everyone is on the same page! Amex usually prorates the annual fee and keeps you on the same anniversary as the old card’s anniversary. I received a partial credit for my Ascend card and then was billed a prorated annual fee for the Aspire card. Upgraded Sept. 25, reached spend, and received notice of the free night Around Nov. 25-26. I have the upgrade offer and my anniversary date is in two months. I was told I will not receive any of the benefits (free night, resort credit) until my anniversary date in May. Humph. Does anyone know if this is true? I think they are all confused by this. With it being so close I am not sure how it would play out though. I could see Diamond status kicking in right away and maybe the resort credit/airline credit. I doubt you would get 2 free night certs though. Yes, they are indeed confused. They said I wouldn’t get a free night certificate until 2020. I can’t imagine that would be true. Should at least get it on my anniversary renewal on 5/2019 when I pay the full $450. Was really hoping to double dip that resort credit…dangit. Airline credit will kick in immediately though. I have some big spend to take advantage of, so I’ll likely do the upgrade anyway. I’ll report back. Yeah you will get the free night on 5/19 – will probably come out June or Early August. But that would be awesome if you let us know what really plays out!